For half a century, readers on peyotism have devoured La Barre's fascinating original study, which began when the author, at age twenty-four, studyied the rites of fifteen American Indian tribes using Lophophora williamsii, the small, spinelss, carrot-shaped peyote cactus growing in the Rio Grande Valley and southward. Continuing his research from the 1930s through the 1980s, Weston La Barre reviews topics such as the Timothy Leary-Richard Alpert |experiments" with peyote and other psychotropic substances, the Carlos Castaneda phenomenon, the progress of the Native American Church toward acceptance as a religious denomination, the presumptions of the New-Amierican Church, the legal ramifications of ritual drug use, and the spread of peyotism from the Southwest to other North American tribes. This new edition of La Barre's classic study includes 334 new entries in the latest of his highly valued bibliographical essays on works relating to peyote, not just in anthropology but in a variety of fields including archeology, economics, botany, chemistry, and pharmacology. The bibliography lists important contributions in popular media such as newspapers, audiotapes, and films, as well as in scholarly journals. 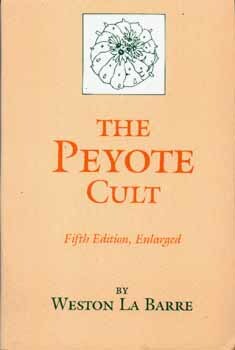 "The Peyote Cult is still quite generally considered to be the one outstanding work on peyote. . . . La Barre follows the search for the 'mystic experience' through use of chemical substances--a new fashion albeit as old as history--in an unusually objective manner."